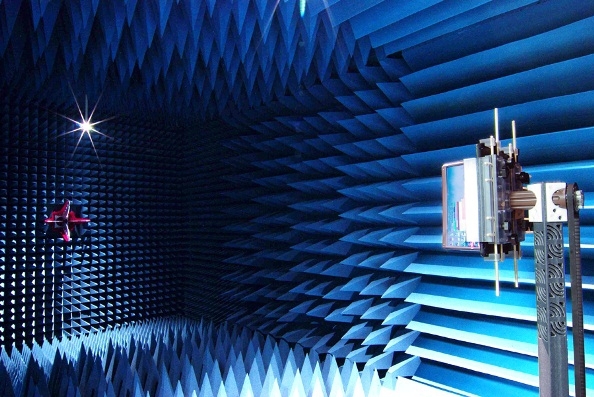 Figure 1: An anechoic chamber. ...You've likely seen their work. 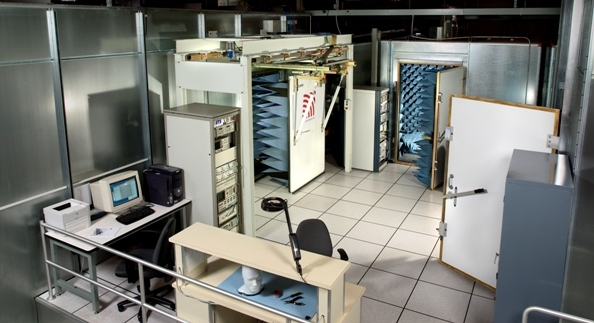 They build these test anechoic chambers (and the components that go inside of them) so that very precise measurements of energy may be taken. To take those measurements you must first eliminate all sources from the outside world, thus the pyramid shaped foam pieces, extremely thick walls, and electromagnetically shielded housings for the lights and equipment. The level of detail is amazing, and the rooms are quite impressive, but not as impressive as the measurements that are done. Figure 2: Testing facilities with three chambers. Figure 3: A phantom head! Yep folks, that's what they refer to as a Phantom Head. He's hollow, so he can be filled with liquid to approximate the chemical makeup of the human head. 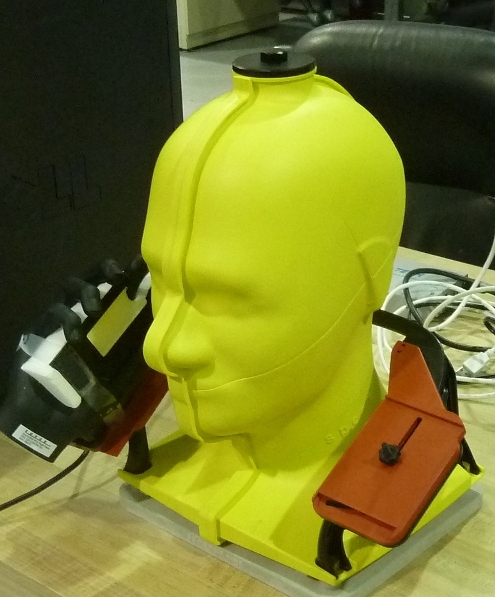 The phantom allows you to use hands, if you'd like, to hold the device up to the head, but surprisingly CTIA requirements that providers use to measure signal strength only require the "head" test - hands are not yet required. But they have hands - a lot of them, in all different configurations for each style of phone (flip, bar, PDA). Each hand is molded after researchers observed a number of humans using such a style phone in the lab, so as to get the average sized hand in the most common position, to try to make the test as applicable to as many humans as possible. 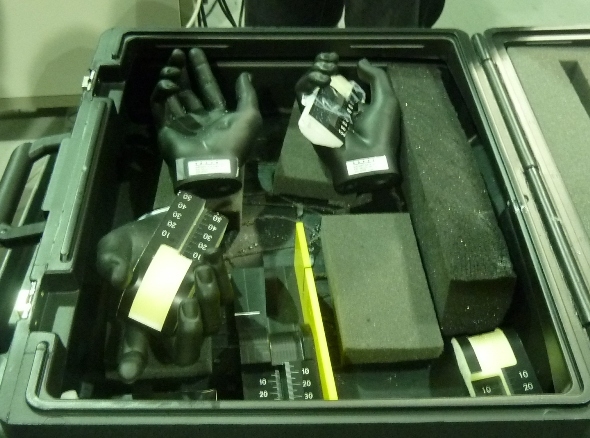 Figure 4: A box of hands, with calibration/measuring devices. The testing that we were shown is what's called "Over the Air" Performance Testing (OTA). 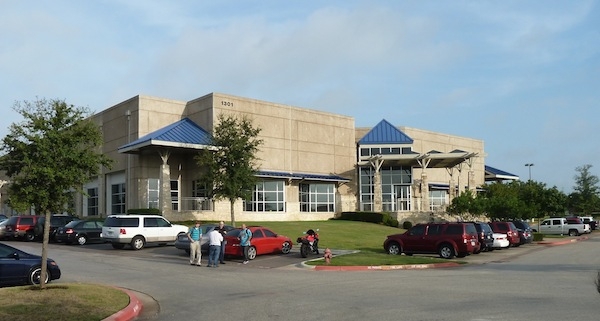 ETS-Lindgren had the first lab authorized by CTIA, and builds greater than 80% of all CTIA certified labs. OTA Testing is much more complex than asking "Can you hear me now" to your buddy at the other end! Including being less qualitative (e.g., subjective) and more precise, it also allows providers to better estimate their "link budget", or the amount of performance they find acceptable on their networks. How does OTA Do this? Well here's the quick and dirty version. The strength of a link between two radio devices is a function of the power emitted by one device and the sensitivity of the antenna of the other device. To figure out this, one needs to know these variables in a controlled area - like the chambers shown above. Once the numbers are crunched, one gets a rating in decibels (referenced to 1 miliwatt; dB or dBm). The decibel rating is on a log scale, such that a loss of 3 dB is equivalent to the loss of 50% of the signal strength. Take another 3 dB away, and you're at 25% of the original signal, and so on. Of course the measurements that ETS-Lindgren takes in the lab are under optimal transmission and receive circumstances, its up to providers themselves to figure out what's reasonable in the field. Dense cities with lots of objects to impede signals will do just that; large flat land with very few large buildings or structures will necessarily provide better reception. In addition to the OTA testing, we also learned about a buzzword I had heard but had no idea what it actually meant: MIMO. MIMO stands for Multiple-Input Multiple-Output technology, and again without going into too much detail, it means that a device can have multiple antennas transmitting and receiving simultaneously over one link. The technology is able to determine mathematically which antenna a channel is meant for and filter out the signal when processing that channel. Think of the difference as serial processing to parallel, although with less channels (at this time) than your parallel port allows.Not all of the day was spent learning about signal testing though - we also got to tour other parts of ETS-Lindgren's facility, including the chambers they use when determining noise coefficients (e.g., the ratings you get on glass that tell you how much sound can penetrate), and the chambers they use when determining how much noise something makes (e.g., how loud is my server's fan?). 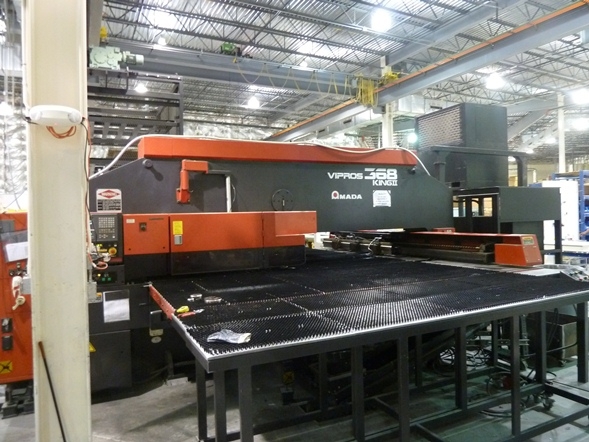 We also saw their manufacturing factory floor, where many of the components we saw in use are made. Below are a series of photos showing off these various chambers, with some of the above mentioned bloggers getting in the way! Figure 5: Two reverberation chambers. Reverberation chambers, connected such that the one on the left (the smaller) can project up to 130dB of sustained sound toward the one on the right. The object to be tested is placed in between and sound measurements in the larger chamber are taken to determine how much noise penetrates! 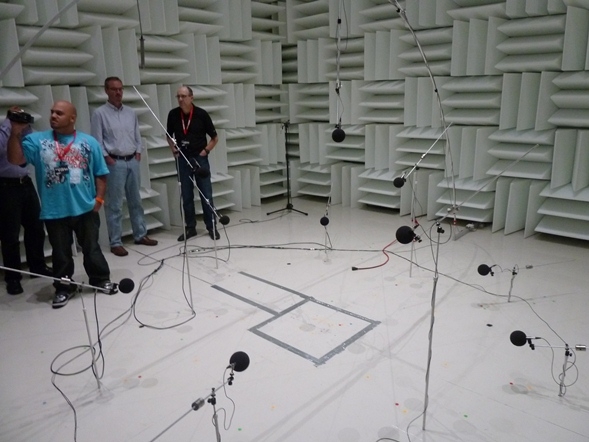 Figure 6: Sound level testing chamber. This is the room sound goes into to die! 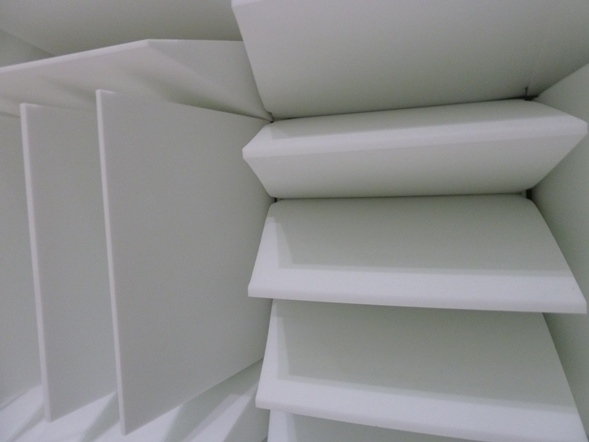 The walls are 12'' thick with padding, the floor is raised, and the microphones are extremely sensitive. The point is to measure how much noise comes from the object in the middle of the room. This is how you can determine which case fan is quieter than others! Figure 7: That's thick foam! 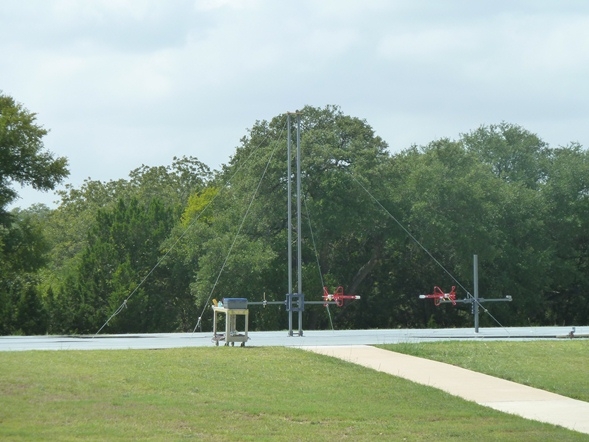 Figure 8: Outdoor testing apparatus. They have an outdoor testing rig, which allows testing in a less than controlled situation. A room under this pad houses the electronics required to make the measurements, controlled remotely. To the right (but cropped out) was a very visible cell antenna in the distance. When asked about it, we were assured that they'd rather know exactly where those antennas are than have them hidden, so in this case, seeing it was better than it lurking behind a tree! Load this machine with stock and tell it what you want, it'll pump it out for you, all night if you'd like - although it will call you if there is a problem. Massive manufacturing! At the end of the tour, and day, I can honestly say that I was impressed with the level of detail and attention the guys at ETS-Lindgren put into their work. Testing an antenna seems easy enough, but to do it right, one must consider variables that not only must be measured, but also react differently depending on a number of things. In the test runs we observed, our hosts noted that something as small as a battery discharge (such as what might normally happen when running a few tests on any phone) could disrupt the baseline, requiring numerous baseline tests throughout a prolonged testing period. You gotta hand it to these guys - they know what they're doing and because of them, we can confidently say that it IS possible to figure out the gremlins in the system that cause calls to drop or signals to die. The only problem? Finding those gremlins in the 900 places they could be hiding. I'm not worried though - the technology I saw proved that finding them isn't as hard as it sounds! Jon Westfall is the Executive Editor of Android Thoughts and the News Editor of Windows Phone Thoughts, both members of the Thoughts Media network. He works in New York City as the Associate Director for Research & Technology at the Center for Decision Sciences, a part of Columbia Business School. Cool report Jon, thanks for sharing! It's interesting to read about companies like this that we don't know the name of, but we benefit from the work that they do.